This study seeks to examine the relationships between a set of NFDRS fire danger indices (Fire Danger Ratings, Staffing Level and the Ignition Component) and measures of fire activity (fire occurrence and final fire size) across the entire conterminous US over an 8-year period. We reveal that different regions of the US display different levels of correspondence between each of the fire danger indices and recorded fire activity. 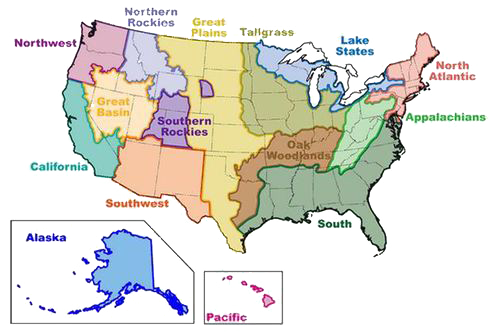 Areas in the Southern and Eastern Geographic Area Coordination Centers (GACCs) exhibit weaker correlations than those in the Northwest, Northern Rockies, Great Basin and Northern California GACCs. Peaks in fire occurrence are shown to occur at mid–low values of fire danger whereas final fire sizes increase monotonically with each fire danger index. Our findings appear to align with perceived shifts in management practices currently employed across the US and indicate that the ability of the NFDRS to apportion the resources required to combat large fires is in general well developed.